There’s nothing quite like being awestruck by a country’s natural beauty. The Limestone caves in the Margaret River Region date back one million years! These underground labyrinths of stalactites, stalagmites, straws, pillars and crystals (just to name a few), have been open to the public since the very early 1900s. And yet, they still offer breathtaking scenery for tourists and locals alike. The best way to get to the Limestone caves? By private jet, of course! Hop on your own private charter flight and travel in comfort and style, as you watch the breathtaking Western Australian landscape unfold out your window. There are four main caves which offer guided tours at a variety of paces. If you’re up for a little adventure, why not try an off-piste or abseiling tour? If you prefer pausing and simply taking it all in, a self-guided or easy access tour will give you information about the region while you memorise all the amazing formations. Lake Cave is named for its magnificent underground lake, which casts stunning reflections of formations created thousands of years ago. The cave itself is an echo in time, and its eerie beauty is truly astounding. The celebrated “suspended table” is an incredible sight to see, hanging above the lake and mirrored in the calm water. Mammoth Cave is the most easily accessible of all of the caves and offers self-guided tours perfect for those who like to explore at their own pace. Great for history buffs and nature lovers alike, the cave is home to impressive fossils, including that of Australian megafauna who roamed the earth some 50, 000 years ago! When you visit Ngilgi Cave, you’ll be swept up in the stories of the Aboriginal Dreamtime. The cave is named after the good spirit Ngilgi, who fought the bad spirit Wolgine; a legend you will learn during your explorations. The cave is home to an astounding range of formations and even hosts musical performances once a year during the local Jazz festival – now that’s acoustics like no other! If you prefer cathedrals of the natural variety, you’ll love Jewel Cave. It’s 42 metres deep, 1.9km’s long, and definitely isn’t short of gobsmacking, amazing sights. It’s home to the world’s largest straw stalactites and a coral reef giant shawl. If you’re worried it’ll be too dark to see any of these amazing features, never fear! The cave has state-of-the-art LED lighting which offsets the natural formations, creating a truly magical atmosphere. Be amazed by these breathtaking natural formations on a luxurious holiday to WA’s Margaret River Region. 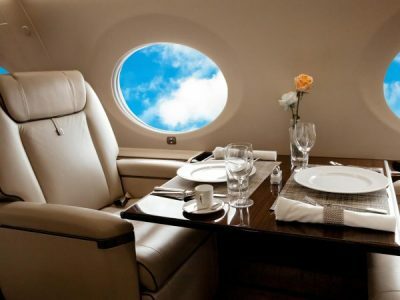 Enjoy the full experience flying by private jet with Adagold Aviation. Crystals, boutique wine and spectacular scenery, are the makings of an unforgetable getaway!